Do you want to take your businesses to a new level and develop both as an entrepreneur and a leader? Become part of a strong network of women entrepreneurs in the Middle East and North Africa region through our leadership programme. She Entrepreneurs is a leadership programme for highly motivated women entrepreneurs in the Middle East and North Africa (MENA) who are building successful and sustainable businesses with the potential to make a difference in their societies. She Entrepreneurs is a practical and hands-on leadership training based on real business experiences and collaborative learning. The programme provides tangible tools, insights and connections for participants who want to grow their businesses and develop both as entrepreneurs and as leaders. 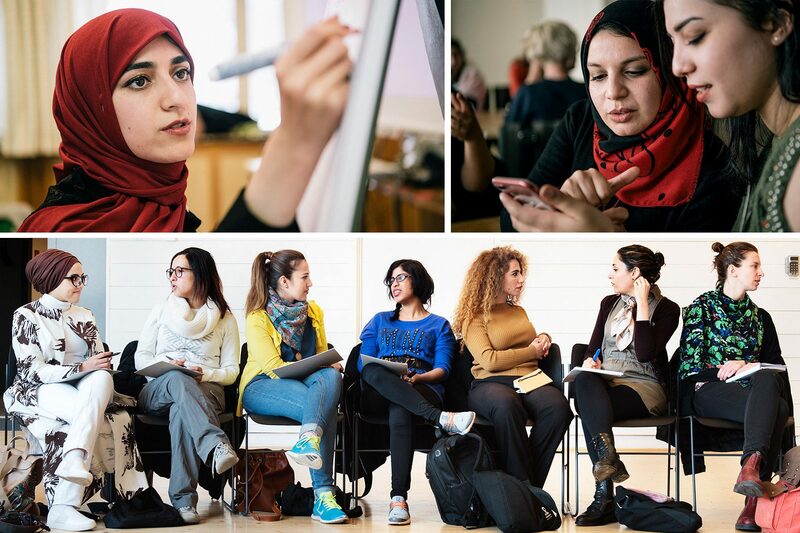 The programme runs over four months with two separate assemblies (modules) taking place in the city of Stockholm – one of Europe’s leading hubs for entrepreneurs. If you are ready to take your business to the next level and want to become part of a strong network of likeminded women that can support and inspire you on your journey – then She Entrepreneurs is the programme for you. is based in Algeria, Egypt, Tunisia, Iran, Jordan, Lebanon, Morocco or Palestine. be willing to pay it forward by contributing at least two hours of pro bono mentorship to a junior entrepreneur in your home country during the programme. The opportunity to plan and strategise for your business in an inspiring and collaborative learning environment. Regular support and input through sessions with expert mentors on an individual level as well as through group coaching. New perspectives on responsible and sustainable business practices from a social and an environmental perspective, as well as tangible tools for measuring your value creation. Increased self-awareness as a leader and a deepened understanding of how to build effective and motivated teams. A strong and active network of likeminded women entrepreneurs. The module is set up with a highly practical approach that allows you to apply the lessons directly to your business. Interactive workshops and seminars will be combined with coaching sessions with expert mentors individually as well as in smaller groups. At the end of Module 1, you will present your business to an advisory board consisting of senior entrepreneurs and business advisors. The focus during module 2 will be to maintain, build and expand the network, to continue the learning journey and to follow up on the development of the work so far. You will continue to build on your entrepreneurial and leadership skills through workshops, seminars and meetings with. The Swedish Institute appoints a selection committee consisting of senior entrepreneurs and field experts as well as staff from SI. Each application is evaluated by two different members of the selection committee. The applicant’s drive, motivation and commitment.